It never fails this time of year always sneaks up on us and the next thing you know it is almost the New Year. The holidays come especially fast when you are wrapping up a very busy wedding season like this fall. It appears more and more of today's couples are choosing the September/October wedding than the July/August wedding. 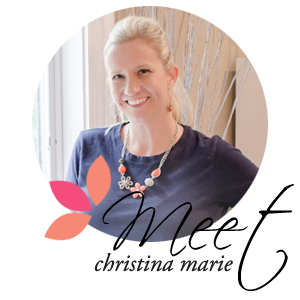 As this year comes to a close there is so much that Christina Marie Event's is Thankful for. We are growing at a very exciting rate, CME doubled it's Weddings this year and has also added a few helpful services for all our couples to benefit from, such as Centerpiece Rentals, Candy Cafe Rentals, and Linens. CME is grateful for the wonderful couples and vendors we worked with and along side this past year. It is always such a pleasure to meet new couples and hear about their exciting ideas and vision for the Big Day. There are also some truly talented and wonderful vendors out there that help make your special day come together and perfect. We worked with many of our preferred vendors we already know, but also had the opportunity to meet many new and great vendors that are awesome!! Our vendor library has multiplied in the last year to offer our couples confident options for all their Wedding Planning needs. We have several new & exciting ideas and plans for the 2009 year and are extremely eager to share them all with you!! Thank you to all of our amazing couples we worked with in 2008 and the extraordinary vendors that are as enthusiastic & dedicated as Christina Marie Events is in making the Bride & Groom's Wedding Day so Distinctive! !